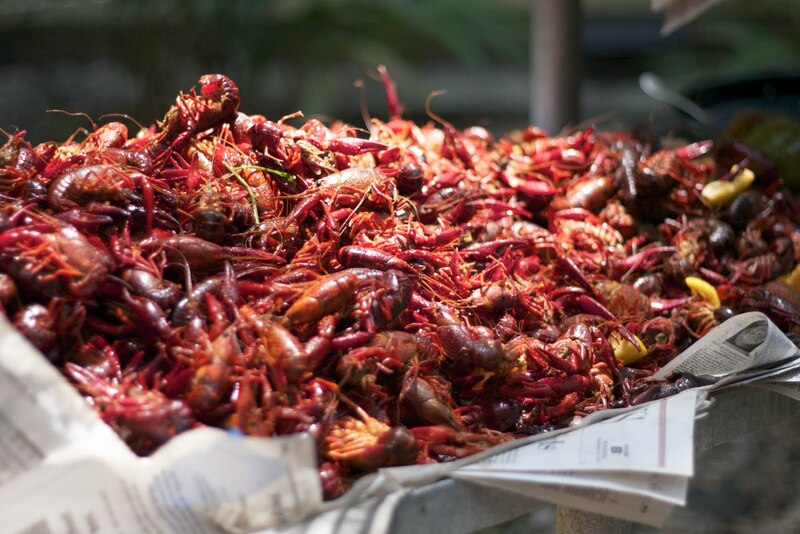 I hope you enjoyed the earlier post about the crawfish boil and how to make the best of the leftoevers. If you missed it, find it here. I also wanted to share two recipes that a new friend of mine made and brought as dessert to the boil. I met Laila through Yelp and thought she was super nice so I invited her to the party. She offered to bring a dessert, and having my hands full, I accepted the offer. This turned out to be a smart move because her dish was AH-mazing and such a refreshing break from the spicy crawdads. Seriously. Whenever someone would take their first bite, they'd say, "Oh My God." Every. time. Soooo what did she make you wonder? Why....blueberry cobbler and homemade ice cream of course. So American and sooooo good. The blue berries were hand picked and the home-churned lemon-ginger ice cream was wildly flavorful. The cobbler recipe can be found here at her blog, Rice and Beans and Collard Greens and the ice cream recipe is here. She such a sweet lady. I look forward to getting to know her better and maybe, hopefully getting to taste more of her creations.